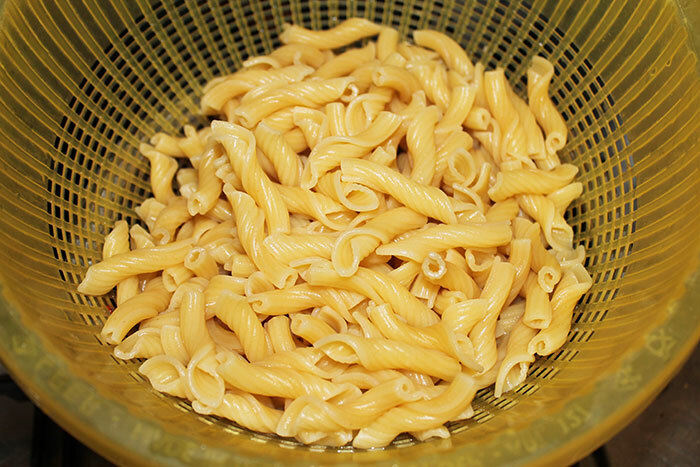 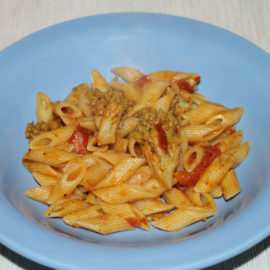 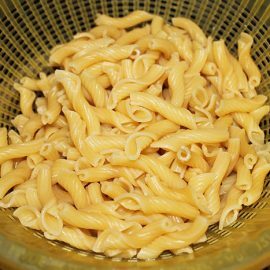 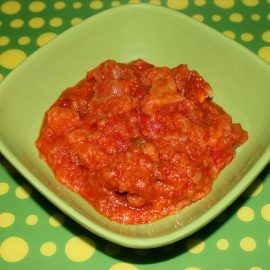 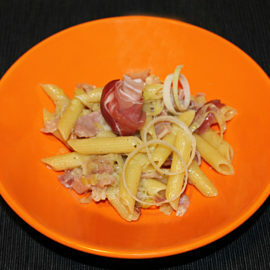 Cook the pasta "al dente" in water with salt. 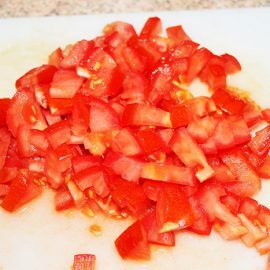 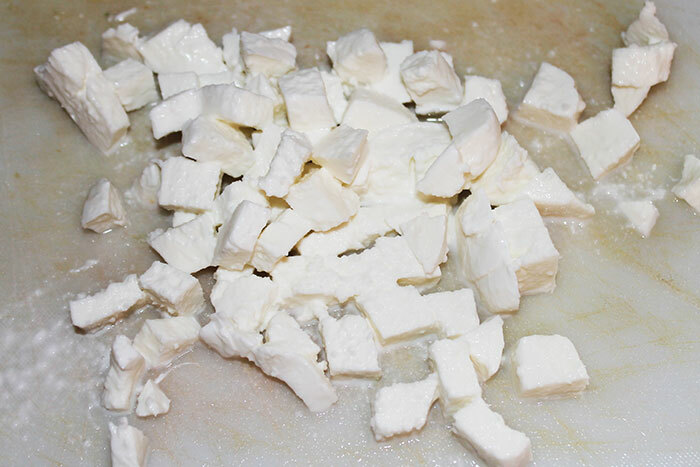 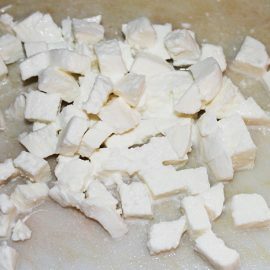 Cut into cubes the tomato and mozzarella. 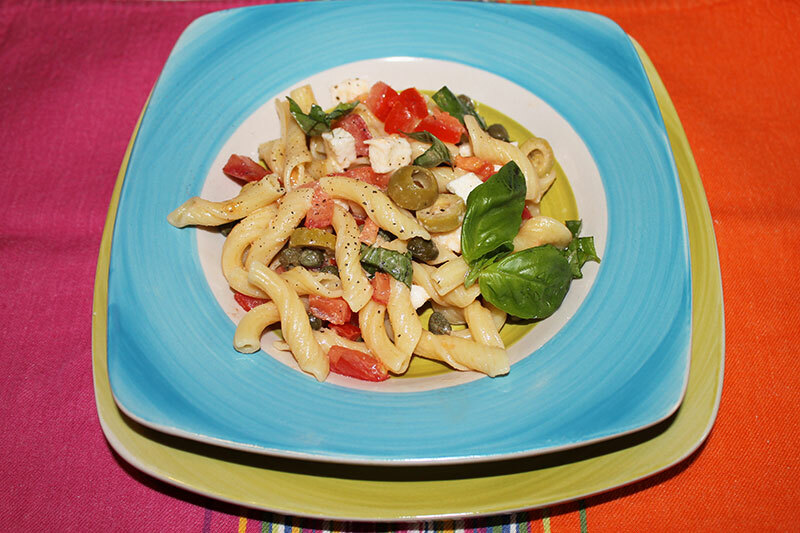 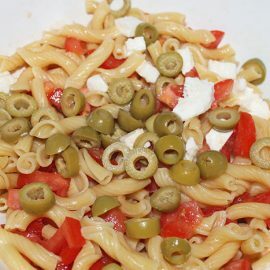 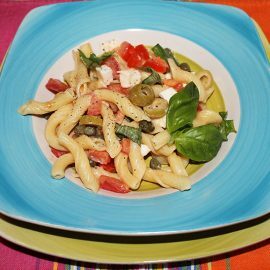 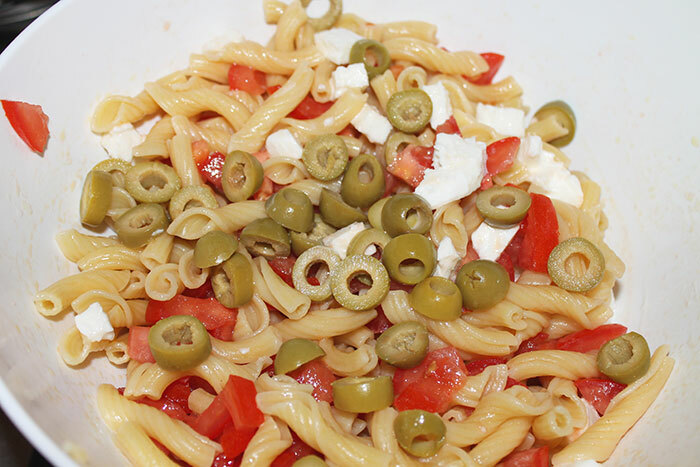 Cut in slices the olives and add all at the pasta. 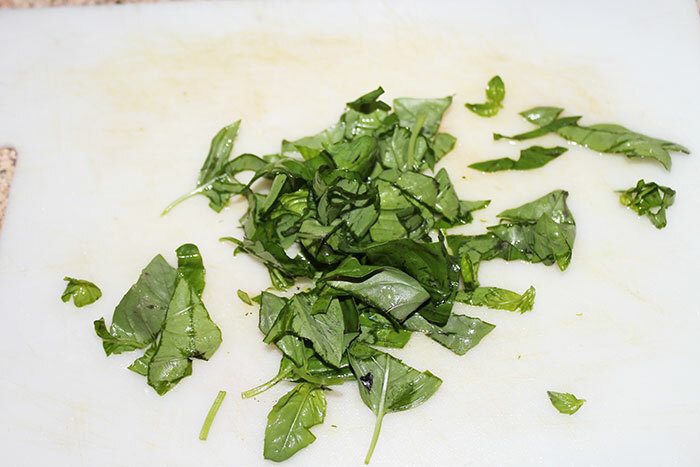 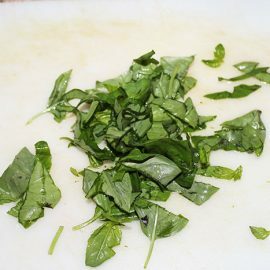 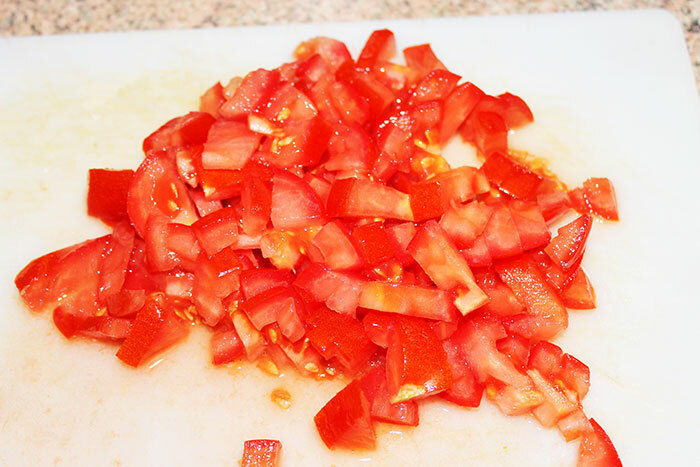 Season with olive oil, salt, pepper and chopped basil.